What is a True Expense? True Expenses are your large, less-frequent expenses. For some, you'll know the amount and due date – like your auto registration or annual insurance premiums. Others aren't as concrete. You may not know exactly when you'll need to replace your tires, but you know the time will come. You can plan ahead. Some of the money you have now needs to be set aside for large expenses down the road. Break them into manageable monthly expenses and budget for them. Consider what large, less-frequent expenses are coming up, and your best guess as to when they'll hit and how much they'll cost. 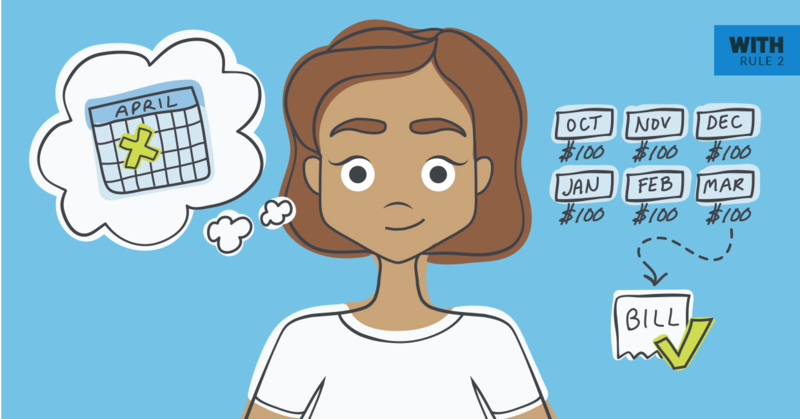 Set a goal and YNAB will help you determine how much you need to budget each month in order to be ready. No stress (or credit cards!) necessary. Imagine a big bill coming in and… you just pay it. When the holidays roll around, you're ready with a Santa-sized pile of money. It’s not magic, it's Rule Two of the YNAB Method!